Drawing attention like a giant sparkling jewel atop Öskuhlíð hill is the remarkable landmark building known as the Pearl. 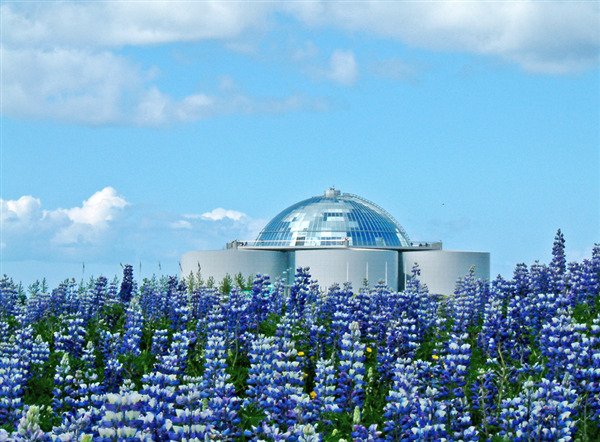 This fantastic dome–shaped, glass building was designed by Ingimundur Sveinsson and is supported by six massive hot-water tanks - each with a capacity of 4 million litres. That is apart from one, which houses the Saga Museum - a history installation of very lifelike silica figures depicting some of the more famous scenes of the Sagas. 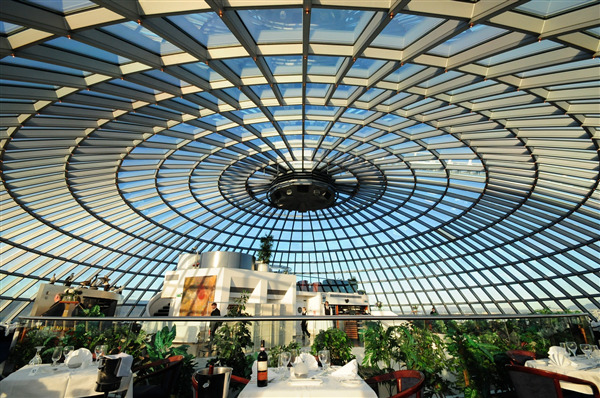 The dome, which houses a quality revolving restaurant offering guests a unique dining experience, also houses a small café, with an observation platform offering panoramic views of the city and its surroundings. Below the dome, between the hot-water tanks, an impressive water feature erupts from the basement into the spacious atrium where various exhibitions and other events are held. For those who don’t have time to visit the real Geysir, there’s a man-made version outside the building (to the left of the car park) named Strokkur, which imitates the natural spouting action of Geysir in southwest Iceland.